An Indianapolis man is in custody after being extradited to Chicago in connection with two home invasions and the abuse of two young girls in Lincoln Park on May 27th, according to the Chicago Police Department. Hunter Best, 25, has been charged with one felony count of aggravated criminal sexual abuse, felony criminal trespass to residence, misdemeanor battery and Class X felony home invasion, CPD said on Tuesday. On Wednesday afternoon, Judge John Lyke ordered him held without bail. “The videos obtained from the community proved crucial to the apprehension of this offender,” the alderman said. 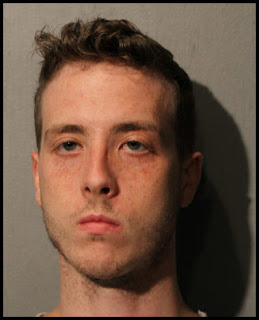 Around 2 a.m. on May 27, a man entered a home in the 400 block of West Belden and sexually abused a 13-year-old girl as she slept, police said. About 20 minutes later, an unknown man entered a residence in the 500 block of West Grant and inappropriately touched 11-year-old girl, according to police. The two homes are located about a block apart. Since then, police issued two community alerts that included photographs and two videos of a person of interest. Court records show that a Cook County judge signed an arrest warrant for Best on June 18th. Note: This story has been updated at 9:08 p.m. on July 17th with new information from the Chicago Police Department.